Debbie Soefie Retnoningrum, Dr., Apt. Streptococcus pyogenes: A study on several virulence factors (M protein, Laminin-binding protein, Fibronectin-binding protein, streptokinase) and virulence activator, MgA, development of virulence factor-based-vaccine, molecular detection and novel drugs against streptococcal infection. Hepatitis B virus: A study on wild type and vaccine escape mutants of HBsAg at molecular level, development of vaccine escape mutants HBsAg-based vaccine and detection for hepatitis B infection. Debbie S. Retnoningrum, Ratih A. Ningrum, Yohanes N. Kurniawan, Ana Indrayati and Heni Rachmawati, Construction of Synthetic Open Reading Frame Encoding Human Interferon Alpha 2b for High Expression in Escherichia Coli 8 and Characterization of Its Gene Product, Journal of Biotechnology 145, 2010, 193-198. Roga F. Kembaren, adam R. Ganjara, Valentina Yurina, and Debbie S. Retnoningrum, The role of the First 14 Amino Acids of Mature M1 Protein of Streptococcus pyogenes on Fibronectin-Binding Activity and Dimer Formation, Mikrobiologi Indonesia, 4(1): 2010. Retnoningrum, DS., 2006, “Molecular Mechanisms of Virulence Mediated by Surface-Associated Proteins in Streptococcus pyogenes: a Short Review”, Jurnal Mikrobiologi Indonesia, 11(2): 51-56. Retnoningrum, DS., 2005, “Virulence factors of Streptococcus pyogenes and their benefits in pharmacy field”, Towards Bright and Brilliant Indonesian, LIPI Press, ISBN: 979-3673-60-5, 97-116 (in Indonesian). Iwo, M.I., Soemardji, A.A., Retnoningrum, D.S., and Uu M., 2000, “Immunostimulating effect of Pule (Alstonia scholaris L. R. Br., Apocynaceae”, Clin. Hemorheol. Microcirc., 23(2,3,4): 177- 183. Johansson P. J., Malone C. C., Williams R.C., Retnoningrum D. S., Cleary P.P.,1994, “Streptococcus pyogenes type M12 protein shows selective binding to some human immunoglobulin G3 myeloma proteins”. Infect Immun. 62(8):3559-63. Retnoningrum D. S. and Cleary P. P., 1994, “M12 protein from Streptococcus pyogenes is a receptor for immunoglobulin G3 and human albumin”. Infect Immun. 1994 Jun;62(6):2387-94. Cleary P, and Retnoningrum D. “Group A streptococcal immunoglobulin-binding proteins: adhesins, molecular mimicry or sensory proteins?”, Trends Microbiol.,1994, 2(4): 131-6. Retnoningrum D. S., Podbielski A., and Cleary P. P. “Type M12 protein fromStreptococcus pyogenes is a receptor for IgG3″. J Immunol. 1993 Mar 15;150(6):2332-40. Susilo, R.A., Sumirtapura, Y.C., Rachmawati, H., Darijanto, S.T., Retnoningrum, D.S., Kardono, L.B.S., 2012, “Over production of human recombinant interferon a-2b: Scaling up process”, Journal of Applied Sciences, 12 (15), pp. 1613-1617. Pramesti, H.T., Suciati, T., Indrayati, A., Asjarie, S., Retnoningrum, D.S., 2012, “Recombinant human Bone Morphogenetic Protein-2: Optimization of overproduction, solubilization, renaturation and its characterization”, Biotechnology, 11 (3), pp. 133-143. Retnoningrum, D.S., Pramesti, H.T., Santika, P.Y., Valerius, O., Asjarie, S., Suciati, T., 2012, “Codon optimization for high level expression of human bone morphogenetic protein – 2 in Escherichia coli”,Protein Expression and Purification, 84 (2), pp. 188-194. Rachmawati, H., Febrina, P.L., Ningrum, R.A., Retnoningrum, D.S., 2012, “The influence of polyethylene glycol structure on the conjugation of recombinant human interferon a2b overproduced using synthetic gene in E.coli”, International Journal of Research in Pharmaceutical Sciences, 3 (2), pp. 228-233. Purkan, Ihsanawati, Syah, Y.M., Retnoningrum, D.S., Noer, A.S., Shigeoka, S., Natalia, D., 2012, “Novel mutations in katG gene of a clinical isolate of isoniazid-resistant Mycobacterium tuberculosis”, Biologia, 67 (1), pp. 41-47. Vidilaseris, K., Hidayat, K., Retnoningrum, D.S., Nurachman, Z., Noer, A.S., Natalia, D., 2009, “Biochemical characterization of a raw starch degrading a-amylase from the Indonesian marine bacterium bacillus sp. ALSHL3”, Biologia, 64 (6), pp. 1047-1052. Catur Riani, Akhmad Muchlisin, Casilawaty, Debbie Sofie Retnoningrum, Overexpression Of Cyclodextrin Gl Ycosyltransferase Synthetic Gene From Bacillus sp A2-5a in Escherichia Coli, The symposium: Networking and Technology Transfer, Bangkok, Thailand, from 7 -12 June 2010. Catur Riani, Akhmad Muchlisin, Casilawaty, Debbie Sofie Retnoningrum, Cyclodextrin Gl Ycosyltransferase Synthetic Gene of Bacillus sp A2-5a: Overexpression In Escherichia Coli And Characterization Of The Product, Conference of Industrial Enzyme and Biotechnology 2010 (CIEB 2010), di BPPTSerpong, 3 Agustus 2010, dengan tema : Enzyme Technology for Eco-Friendly Industry. Catur Riani, Usma Nurul WB, Mieke Hemiawati Satari, Debbie S. Retnoningrum, Biofilm of Oral Bacteria: A Preliminary Study, Gruber-Soedigdo Lecture (GSL) ke III, KK Biokimia Prodi Kimia – RS. Santosa, Bandung, 27 Juli 2010. “Overview of Microarray Technology and DNA Chips: Principle and Applications”, Asean Conference in Medical Laboratory Technology, Jakarta, May 23, 2006 (in English). “Molecular Approach for Drug Discovery from marine microorganisms”, International Seminar and Workshop: Marine Biodiversity and their Potential for Developing Bio-pharmaceutical Industry in Indonesia, International Seminar and Workshop: Marine Biodiversity and their Potential for Developing Bio-pharmaceutical Industry in Indonesia, May 17-18, Jakarta, 2006 (in English). D.S. Retnoningrum, E. Purwantini, E. Widodo, and K. Senjarini, 2002, “Streptococcal Mga49 contains two different binding domains for emm and mga activator sites”, The XV Lancefield International Symposium on Streptococci and Streptococcal Diseases, Goa, India, 6-11 October 2002, Abstract P 3.29. A. Braun-Kiewnick, D. S. Retnoningrum, A. Podbielski, and B. Kreikemeyer, 2001, “Isolation and characterization of quorum-sensing (QS) related substances regulating virulence gene expression in Streptococcus pyogenes“, Streptococcal genetics meeting, October 2001, Aachen. Kreikemeyer, B., D. S. Retnoningrum, and A. Podbielski, 2000, “Bacterial Signaling Peptides and Host Factors are involved in regulation of virulence factor gene expressions in Group A Streptococci (GAS)”, American Society for Microbiology, 100th General Meeting, Los Angeles Convention Center, Los Angeles, California, 21-25 May 2000, Abstract B-260. Retnoningrum, D. S., 2000, “Mga protein as a molecular target for screening bioactive compounds against Streptococcus pyogenes“, Association of Indonesia Clinical Chemistry, VIII National Congress, Jakarta, Indonesia, 26-28 October 2000, Abstract MB602. Iswari, I. I., I. Supardi, I. Supandiman, and D. S. Retnoningrum, 2000, “Detection and Sequencing of gene s encoding type II chloramphenicol acetyltransferase from clinical isolates of Salmonella typhi in West Java”, Indonesia, Association of Indonesia Clinical Chemistry, VIII National Congress, Jakarta, Indonesia, 26-28 October 2000, Abstract P4. Identifikasi Mutasi Gen Polimerase Virus hepatitis B dari Penderita di Beberapa Kota di Pulau Jawa, Hibah Pekerti batch V, principle investigator from ITB side, (Debbie S. Retnoningrum and Erna Giri Rachman), in collaboration with University of Garut, 2007-2008. Overexpression of Gene encoding for Chitinase from acidiphilic bacteria from Rawa Inderalaya, Hibah Pekerti batch IV, principle investigator from ITB side, 2006-2007. Use of lectin for purification of capsul of Streptococcus pneumoniae, Hibah Bersaing, team member, 2006-2007. Karakterisasi Dan Kloning Gen Pengkode Vp28 White Spot Syndrome Virus (Wssv) Isolat Indonesia Sebagai Kandidat Vaksin Rekombinan Untuk Pengendalian Penyakit Bintik Putih Pada Udang Windu (Penaeus monodon), Hibah pekerti batch IV, principle investigator from ITB side, in collaboration with Faculty of Fischery, University of Hasanuddin, 2006-2007. Construction of mutant streptokinase with longer in vitro half-life, Riset Unggulan Terpadu XII, principal investigator (Debbie S. Retnoningrum, Reny Elyasheva, Maria Immaculata), 2005-2006. Construction of vaccine escape mutant of G145R HBsAg of Hepatitis B virus, Hibah Bersaing XIII, team member (Sri Anendya Lestari, Roga F. Kembaren, Debbie S. Retnoningrum), 2005-2006. Construction of vaccine escape mutant of M133T HBsAg of Hepatitis B virus, Indonesia Toray Science Foundation, team member (Sri Anendya Lestari, Debbie S. Retnoningrum), 2005. Overproduction of recombinant human erithropoeitin, Riset Unggulan Teradu XII, team member (Adi Santoso, Asrul M. Fuad, Debbie S. Retnoningrum), 2005-2007. Molecular characterization of meticilline-resistant Staphylococcus aureus, Hibah pekerti batch III, Principle investigator from ITB side, (Debbie S. Retnoningrumand Maelita R Moeis), in collaboration with Faculty of Medicine, University of Udayana, 2005. Laminin-binding protein as universal vaccine against streptococcal infection, Hibah Bersaing XII, team member (Catur Riani, Roga F. Kembaren, Debbie S. Retnoningrum), 2004-2005. Screening of antipathogenic substances against streptococcal infection from marine bacteria isolated in Indonesia, Indonesia Toray Science Foundation, team member (Roga F. Kembaren, Debbie S. Retnoningrum), 2004. Isolation of specific antigen of Mycobacterium tuberculosis reactive against serum from active TB patients, Hibah Pekerti batch II, Principle investigator from ITB side (Debbie S. Retnoningrum and Sri Anendya Lestari), in collaboration with Faculty of Medicine, University of Hasanuddin, 2004-2005. Molecular study of rifampicin and INH resistance of Mycobacterium tuberculosisisolated from Makassar, team member (Fatmawati Badaruddin, Asaad Maidin,Debbie S. Retnoningrum), 2003-2004. Molecular characterization of pyrazinamide resistance of Mycobacterium tuberculosis isolated from Makassar, Hibah Pekerti batch I, Principle investigator from ITB side (Debbie S. Retnoningrum and Roga F. Kembaren), in collaboration with Faculty of Medicine, University of Hasanuddin, 2003-2004. Molecular characterization of Helix-turn-helix structure of Mga, a streptococcal activator for its binding to activator binding site, Riset Unggulan Terpadu IX, team member, Catur Riani, Debbie S. Retnoningrum, Arlina Permatasari, 2002-2003. Biological functions of Streptococcus pyogenes M12 – human albumin interaction, RUT, principal investigator (Debbie S. Retnoningrum, Endang Purwantini, Sri Anendya Lestari), 2001 – 2003. Fibronectin-binding protein as a recombinant vaccine against Streptococcus pyogenes infection, Hibah Bersaing, team member, (Roga F. Kembaren, Debbie S. Retnoningrum, Dessy Natalia), 2001 – 2003. Cloning and screening of promoters of Streptococcus pyogenes responding to several environmental signals, Department of Microbiology, Virology, and Hygiene, University of Rostock, Rostock, Germany (funding from DFG, Germany), June – August 2001. Screening of compounds isolated from Indonesian microorganisms that interfere the interaction of Mga with mga activator sites and emm activator sites using gene fusion technology, IURC on Biotechnology – Department of Microbiology, Virology, and Hygiene, University of Rostock, Rostock, Germany, June – August 2001. Molecular biology, Faculty of Medicine, 2004 – present. Molecular biotechnology, elective course, 1998 – 2001. Molecular biology, compulsory course, double degree in Faculty of Medicine, 2000-2003. Molecular Microbiology, compulsory course, 1994 – present. Teaching assistant, Microbiology for Medical Students, Spring quarter 1991, Prof. Dr. Patrick Schlievert. Teaching assistant, Medical Microbiology, Winter quarter 1990, Prof. Dr. P. Patrick Cleary. Member of selection board in the field of genetics and molecular biology, Risbin Iptekdok, 1995 – 1998; 2005 – present. Consultation for establishment of PCR-based method for control quality of vaccine production, PT Biofarma (2005 – present). Member of Selection Committee of Indonesia Toray Science Foundation (ITSF), 2004 – present. Reviewer of Indonesia Toray Science Foundation (ITSF) in the field of basic science, 2000 – 2004. 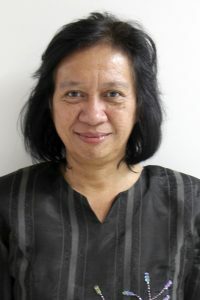 Reviewer of Hibah Bersaing in the field of natural sciences, Final presentation, 2000 – 2004. Reviewer of RUT in the field biotechnology, 1994 – 1998. 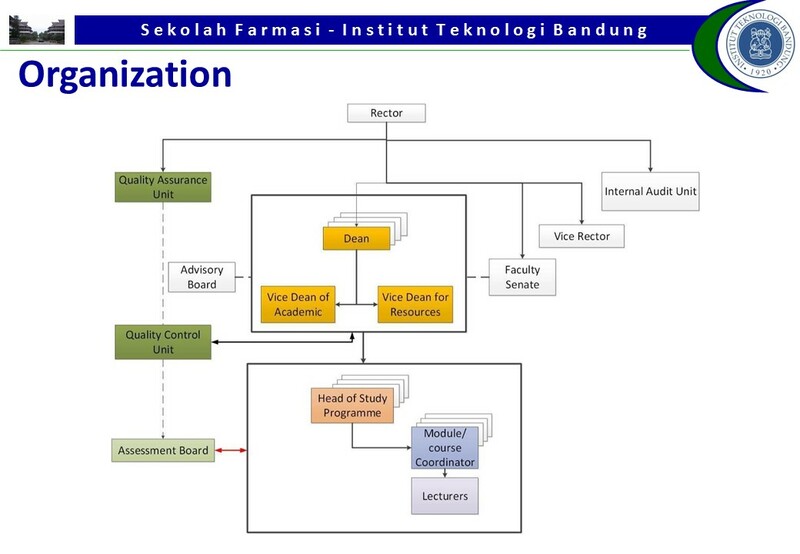 Indonesian Consortium of Biotechnology, secretary, 2002 – present. Indonesian Society of Microbiology, 2002 – present. Indonesian Society for Pharmacists, 1994 – present. American Society for Microbiology, 1992 – present. (Award) The best presenter, Molecular characterization of the interaction of Mga and its activator sites and its use as molecular target for antipathogenics agents againsts pathogenic Streptococcus pyogenes, Seminar on Hibah Tim Penelitian Pascasarjana, Jakarta, DIKTI, 18 – 21 November 2001. (Award) Indonesia Science Toray Foundation award, 2001, Molecular pathogenesis of Streptococcus pyogenes and its role in the discovery of novel antipathogenic compounds and in the development of vaccines.